Birdwatching in New Hampshire, by Eric Masterson, 2013. 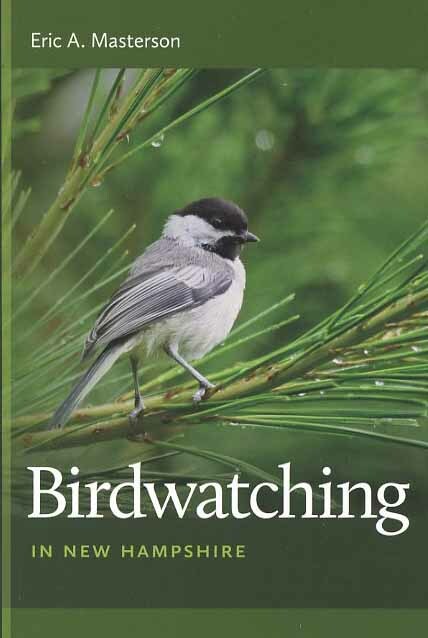 This excellent guide will appeal to veteran and backyard birders alike. It covers more than 120 of the best birding sites across the Granite State, with clear, easy-to-read maps and detailed info on what birds you'll find at each location, and when to go. In the back is a very useful 45-page section of species accounts that depict breeding staus, relative abundance through the year, and conservation status. The book is beautifully illustrated with color photos. 232 pp., 6" x 9."